Actor/rapper Common just won an Oscar a few weeks ago for writing a song for the film Selma. He also starred in the film in a supporting role and will star in the upcoming film Run All Night with Liam Neeson and Ed Harris, but once upon a time he was in line to portray a superhero. George Miller was set to direct a Justice League movie of his own and Common was attached to star as John Stewart/Green Lantern, but unfortunately the film was cancelled. 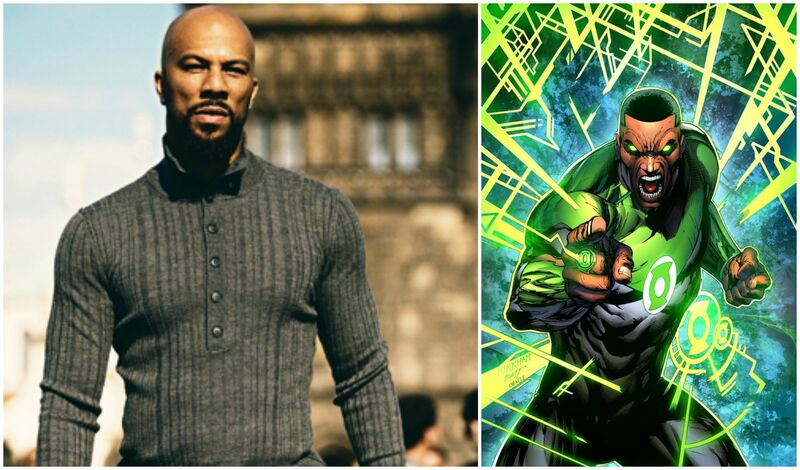 With DC setting up their own cinematic universe, including a Green Lantern installment and two Justice League movies, wagons are circling as to who this new Green Lantern will be, but Common is willing to throw his name into consideration if Warner Bros. opts to use John Stewart instead of Hal Jordan. I would love to be John Stewart and play Green Lantern. That was one of those things where I was so excited because we rarely see African-American superheroes or people of color as a superhero. I think it would be great for the world to see, and for people to see, and for Hollywood to put that out there, too. But just for the world to see, just for kids to be able to see, for all nationalities to see a person of color as a superhero, too. There are rumors circulating that the new Green Lantern film is eyeing Chris Pine for the title role, thus hitting the reset button on Hal Jordan, formerly played by Ryan Reynolds. It’s early, but there are possibilities on the table for the Emerald Knight in the new DC Cinematic Universe. For the sake of diversity, Common should be considered for the part.